A Prelude to Notable Instability? 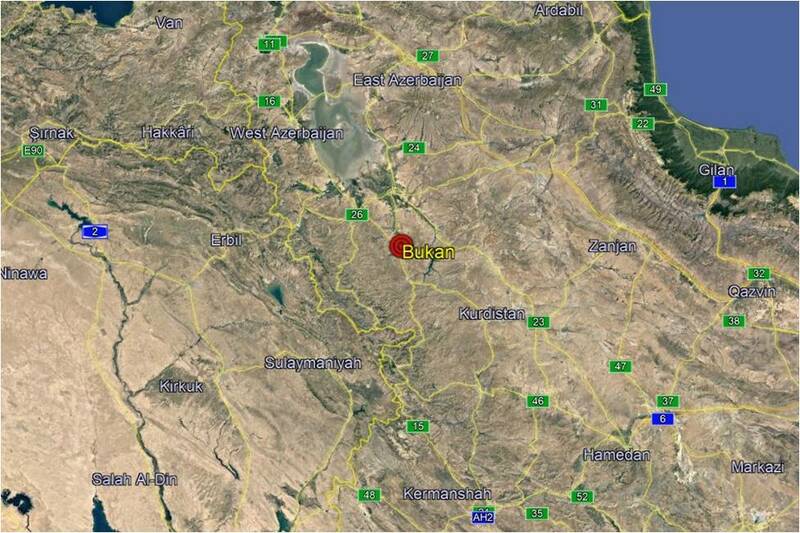 The Democratic Party of Iranian Kurdistan (PDKI) on July 7 reportedly claimed to kill and wounding of at least four Islamic Revolutionary Guards Corps (IRGC) personnel in the West Azerbaijan province’s Koke village in the vicinity of Bukan city. The claim remains to be substantiated by official Iranian agencies at the time of writing. The incident follows a similar attack by another Kurdish militant group ‘Zagros Eagles’ on an unidentified Iranian military check post in the city of Piranshahr located south of the Iraq-Turkey- Iran trijunction area on July 2. Like most claims by the Kurdish groups, the veracity of the incident remains to be ascertained. While localized attacks by Kurdish separatist and militant groups targeting Iranian Law Enforcement Agents and IRGC personnel are not unprecedented, the incident continues to be significant as these attacks have recorded a significant uptick since the preceding months. 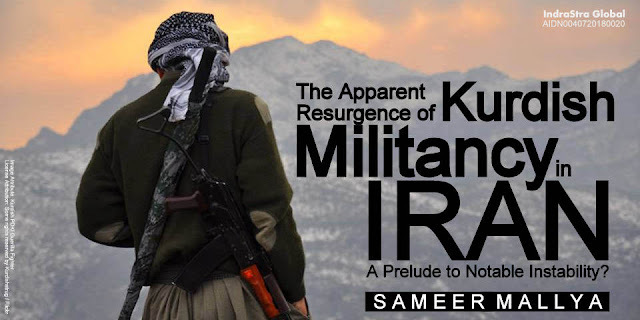 This has resulted in increasing troop buildup in the region, especially in the Piranshahr, Oshnavieh and Sardasht region along the Iraqi and Turkish border to counter the emerging threat posed by these Kurdish separatist groups in the Islamic Republic. The Iranian anxieties are further exacerbated by the latest visit of Mustafa Hijri, the head of the PDKI to Washington between June 11-17, seeking US assistance in carrying out operations against Iran. The notable Kurdish gains in Syria and Iraq amidst ongoing counter-militancy operations against Islamic State (IS) thus serves as a ready reference to Iran of the potential threat to its internal security posed by such an alliance. 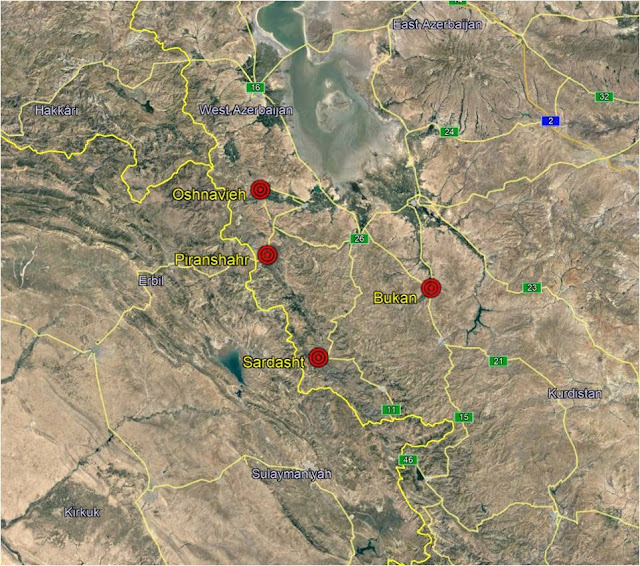 According to official PDKI sources, at least nine attacks have been claimed by the group targeting IRGC personnel and installations with the attack on June 8 alone claiming to kill off at least nine and wounding 18 others in Oshnavieh region. However, the Iranian officials have significantly downplayed the casualty count claimed by the Kurdish group, yet acknowledged the attack. This surge in attack can partially be attributed to the uptick in anti-Kurdish security operations in southeastern Turkey, especially in Hakkari, Yuksekova, and Şemdinli on the Turkish side of the border. Moreover, in the lead up to the Turkish Presidential and Parliamentary elections, President Erdogan expressed his interest in extending these operations in northern Iraq which has likely forced the Kurdish group to re-establish logistical and supply bases closer to the Iranian border. Furthermore, the mountainous terrain in the aforementioned trijunction area provides relative cover from persistent Turkish air and artillery strikes and occasional mortar attacks from the Iranian security forces. Additionally, the political and economic policies of the Iranian authorities are perceived to be aimed at marginalizing the local Kurdish minority population, especially in the southern parts of this province including Oshnavieh, Sardasht, Piranshahr among others which typically witnesses the majority of anti-regime demonstrations as well as militant attacks. These typically result in forceful dispersals as well as arrests of activists and suspected militant sympathizers, which result in a further sense of alienation and marginalization. Finally, though it remains to be substantiated, there remains a high likelihood of at least some Kurdish fighters gaining first-hand experience in combat against the IS, in the Kurdistan Regional Government (KRG) in northern Iraq. With the threat of the Sunni jihadist militant group significantly subsided, it remains likely that at least some Kurdish fighters and groups have diverted their attention back to operations in Iran. Given precedence, it remains likely that the troop buildup along the Iraq-Turkey-Iran trijunction, and especially in the southern districts of the West Azerbaijan regions which have recorded militant attacks in the preceding months. However, the topography of the region, coupled with the cross-border trade that significantly sustains the regional economy, it remains highly unlikely that the Iranian authorities will completely seal the borders. Nonetheless, increased patrols and electronic surveillance along known and suspected infiltration routes remains likely. The announced weapons caches and modus operandi witnessed in the preceding months though do not hint at any significant diversion in the sophistication of attacks, the frequency of these attacks remain likely to witness at least nominal uptick over the coming months. Finally, with the reimposition of sanctions and the notable disinvestment by foreign investors, it remains highly likely that the prevailing economic situation, especially in southern districts, is likely to deteriorate further resulting in more protests and resultant crackdown in the short-to-medium-term.